The operation to Locate Maddox Seems to have disspeared from the wartable at some point. I didn't initally do the operation because my forces were on another operation. Only information I can find is that some other people have had a similar issue in http://forum.bioware.com/topic/522365-before-the-dawn-cullen-quest/ . Unfortunately I don't seem to have a save far enough back to get it to reappear. 28 people had this problem. It can become really hard to locate for some reason - it stops having a little marker over it. It's right around where the words "Empire of Orlais" are on the map. I forgot to mention this is on the PC version for me but may be affecting others as well. According to the link above, the quest disappears upon starting/completing "What Pride Has Wrought". However, I don't have that quest done, and the operation for finding Maddox never appeared on the table. I don't know if you've fixed the problem or maybe skipped the quest and continued with the story, but I had this problem myself and managed to fix it. I simply went back to talk to Cullen, triggering the scene where you play a board game with him in the garden. The problem could be that you somehow skipped the scene, thus preventing you from proceeding, though that's just a guess. I hope I helped! Sorry if I didn't. That was super helpful! Found it thanks to that! Thank you times a million! I've been having this problem for over a week and haven't found the answer til now! You're a lifesaver!!! This one and also the reply it stops having a little marker over it. 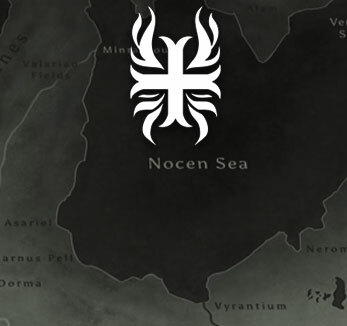 It's right around where the words "Empire of Orlais" are on the map. both made this possible for me!